Formerly of Pakpao in Dallas, Chef Eddy T has transformed a prime corner of West 7th and Foch Street into a hip restaurant that focuses on the classic Thai flavors that we all know and love with exciting twists. Now, I’m a self admitted Thai food snob after spending several years there and prior to visiting Kin Kin Urban Thai was yet to find a spot in DFW that offered everything I could desire in one place. Sure, some places offer great Som Tom and Nom Tok while another may have great Red Curry but here at Kin Kin, ALL of the dishes were spot on. 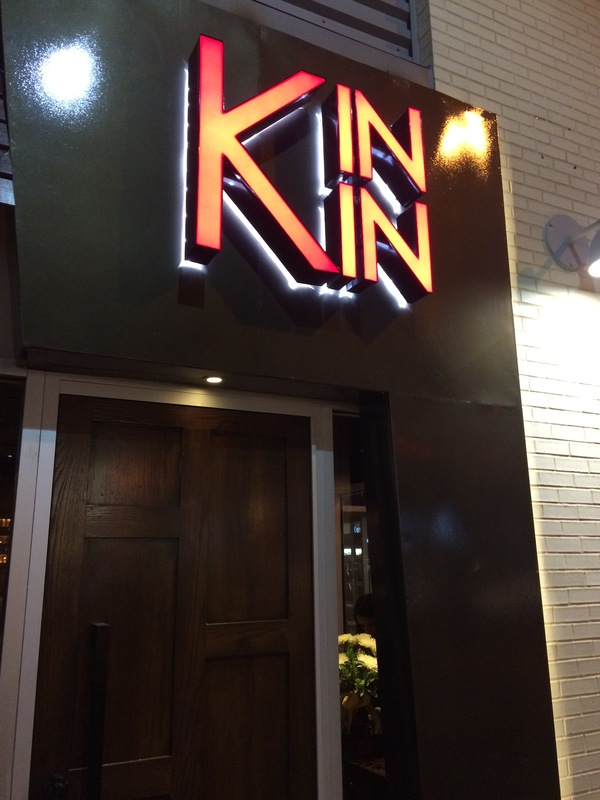 A few highlights from the several (..and I do mean SEVERAL) items that I ordered during my visit to Kin Kin Urban Thai were the Tom Kha Soup, Pad Thai, Kin Kin Burger and the Branzino. The Tom Kha is a steal at $6.25 for a large bowl of this beloved soup. With intense flavors of coconut, lemongrass, mushrooms and Thai herbs, I felt like I was sitting on the streets of Bangkok. This is the kind of thing that you order 5 days in a row during winter because you simply can’t get enough. As I mentioned prior, my snobiness really comes out when it comes to Pad Thai. As Thailand’s most popular noodle dish, it’s a staple and unfortunately, is screwed up too often for me to excuse. I have been on the hunt for authentic Pad Thai since moving back to the United States 5 years ago and my hunt has finally ended because of Kin Kin! Perfectly cooked Rice Noodles tossed in Tamarind Sauce and mixed with Egg, Green Onions, Bean Sprouts and your protein of choice (mine was chicken), my heart literally skipped a beat and I thought I may break into tears it was so delicious. For $11, you receive a heaping bowl of Pad Thai accompanied by chopped Roasted Peanuts and a Lime wedge, standard for dressing up your dish and I recommend adding both! 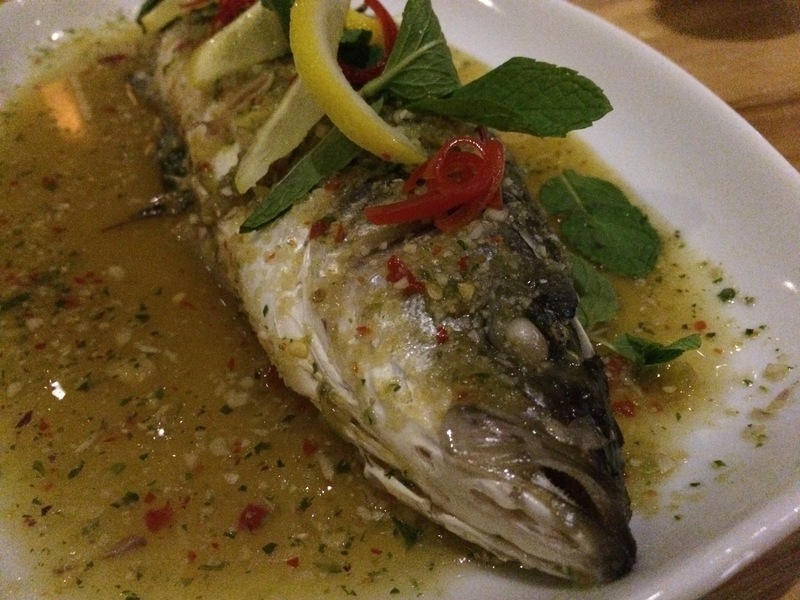 The Branzino is steamed whole and stuffed with Garlic, Thai Chili, Cilantro, Onion and Lemon and all I can really say about it is, WHOA. Tender and flaky fish that has strong herb and garlic flavors proved to be a surprising highlight of my visit to Kin Kin Urban Thai. It is hard to explain just how perfect the taste of this dish was and I think it will be a favorite of fish lovers for years to come. Seriously, order this. Another fun menu item is the Kin Kin Burger. 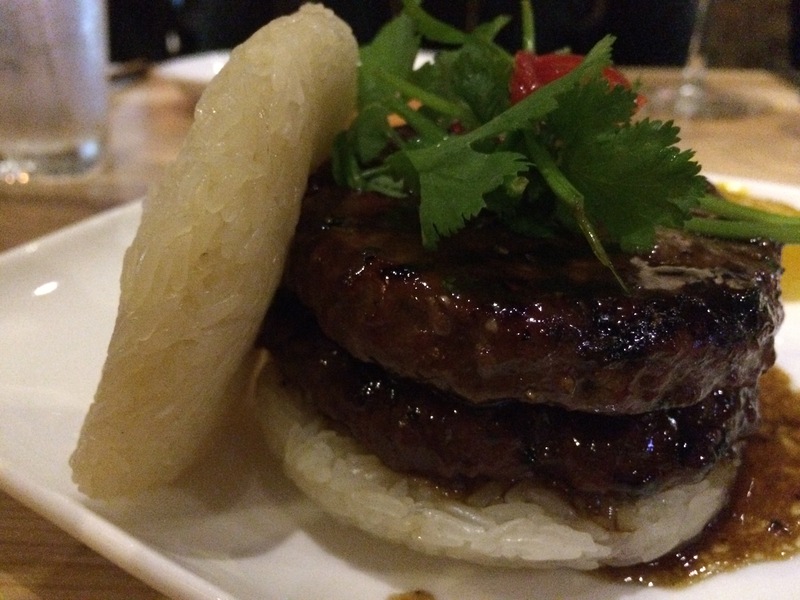 Certified Angus Beef that has the incredible smoky flavor that immediately transported me back to the hustle and bustle of a Thai market, double stacked on-top of a Sticky Rice Bun then accompanied with your traditional burger fixins like lettuce and tomato. The Sticky Rice Bun surprisingly doesn’t fall apart and the meat is so tender and delicious, you will be begging for more. You don’t even need any sauces and THAT, my friends, means its a great burger! 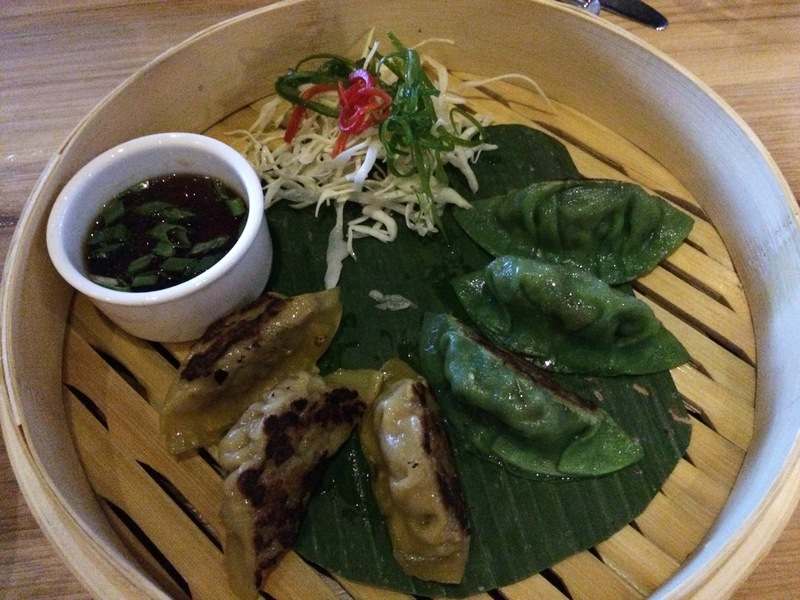 Whether you are new to Thai food or a long time lover, Kin Kin Urban Thai is a fabulous dining choice. The staff is knowledgeable, the interior is chic enough for girls night or date night and the food couldn’t be better! Dallas-ites don’t fret, their second location is opening up shop on Oak Lawn in the former Cyclone Anaya’s spot this Spring!